*Please note that team placement of late registrations are at the discretion of the Division Coordinators based on available space. It is recommended to register before the deadline to guarantee placement on a team. • SPRING SEASON will start with games on April 14th and continue through May 20th. • Coaches will select location, dates and times of practice. The Coordinators will schedule the team games on either Saturday morning/afternoon or a Sunday afternoon. 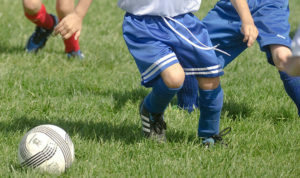 • Games will be played at the Blue Creek Soccer Fields, Providence Street in Whitehouse, Ohio. Division 3 (4th-6th grades) and Division 4 (7th-12th grades) require some local travel. Uniforms consist of a reversible royal blue/white jersey, royal blue soccer socks, royal blue shorts, and shin guards. Soccer cleats are optional. Uniforms can be purchased at All Wear or Look at Me, both shops are located in Whitehouse, Ohio. If you have any questions, please visit www.awysl.org for a list of Coordinators / Board members.